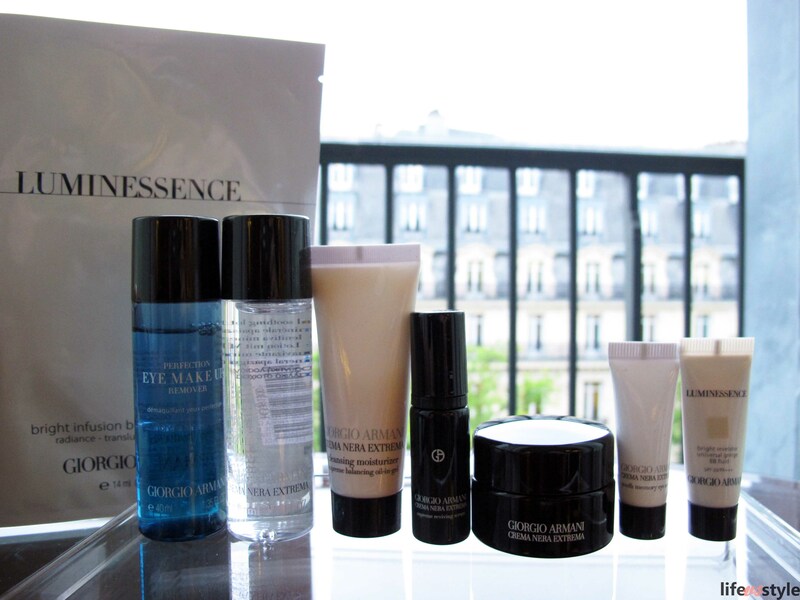 In the last Paris trip, I was invited to Giorgio Armani Beauty new fragrance and cosmetic launch event. They were so nice sending me a whole set of GAB travel kit for the trip use, so I could give up all those full size products to fit in one more shoes! Hooooray! I used this Crema Nera Extrema collection throughout the trip. I wouldn’t say they were so amazing because I just tried for 6 days. My skin was hydrated and toned, even in travel exhaustion and lack of sleep. and I have sensitive skin, the collection had no side effect on me. The texture of the supreme reviving cream is really light, it softened and moisturized my skin but not greasy at all. It’s good for Paris weather, not sure if it’s good for Hong Kong, you know HK is in extreme hot and humid. I always forget this and that for the trip! I swear, next time I will prepare a packing list! hi dear, I just use this kit for travel, it’s good…agree it’s just super expensive!! !